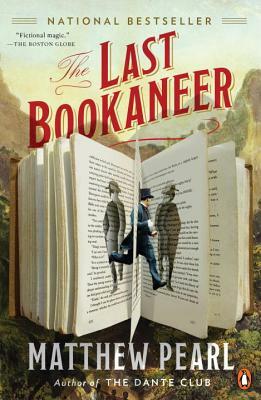 From the "New York Times" bestselling author of"The Dante Club," Matthew Pearl, "The Last Bookaneer"is the astonishing story of these literary thieves epic final heist. On the island of Samoa, a dying Robert Louis Stevenson labors over a new novel. The thought of one last book from the great author fires the imaginations of the bookaneers, and soon Davenport sets out for the South Pacific accompanied by his assistant Fergins. But Davenport is hardly the only bookaneer with a mind to pirate Stevenson's last novel. His longtime adversary, the monstrous Belial, appears on the island, and soon Davenport, Fergins, and Belial find themselves embroiled in a conflict larger, perhaps, than literature itself.